At ProFitness, we do more than just get you back in the game – we commit 100% of our expertise and energy to restoring you to the level of fitness you enjoyed before your injury. 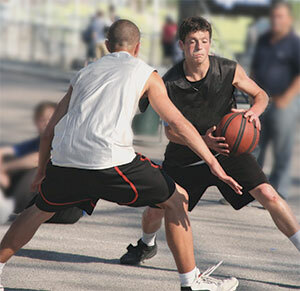 Plus, our team is especially effective with sports-minded Baby Boomers and seniors. Don’t assume that a sports injury will force you to give up the activities you love. We’re committed to helping you stay “fit for sports” no matter what your age! To ensure your success, your dedicated physical therapist works one-on-one with you through every minute of every rehab session – providing expert assessment and guidance, and constant encouragement and support. For more information on keeping fit, download this brochure.